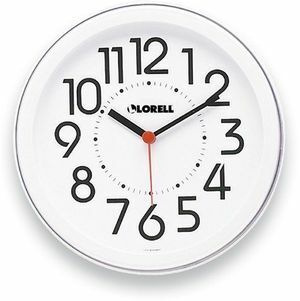 The Bush Baby White Clock Spy Camera Clock/DVR is a clock with a built-in camera you can hide in plain sight. It is a great choice whether you're keeping watch on your child's nanny, someone coming in to work on your home, or adding a bit more home security while you're away. Its modern design is attractive and unobtrusive. Covert. It looks like an every day clock. Even if the camera is removed from the wall, the electronics are sealed inside. Quality video. Records high resolution 1280 x 960 video. Either record continuously, or use the motion detection setting. See our sample video below. Plenty of storage. With capability for using up to 64GB microSD Cards, this device will have plenty of storage for your needs. Who doesn't love the lovely tick-tock sound of an analog clock in the background? Watch your home with Bush Baby White Clock Spy Camera Clock/DVR.